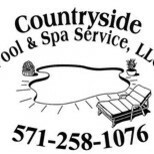 Countryside Pool Services, LLC is a small family run swimming pool service and repair company. We are based out of Leesburg, VA. We service Loudoun county, VA , Fairfax county, VA, Montgomery county, MD and NW Washington, DC. At Countryside Pool Service, we understand that keeping your pool water chemically balanced is essential to the longevity of your equipment. Our knowledgeable staff will recommend the proper chemicals to keep your water sparkling clean! We believe that giving our customers superior service at fair prices is part of what sets us apart from the others. Oak Hill Pool And Spa prides itself on being the go-to choice for clients looking for Pool Closings, Pool Renovations and Pool Winter Services services. Let the professional pool service, PoolStar Management in Gaithersburg, MD, eliminate all of the hard work involved in owning a pool so that you can just sit back and relax. At PoolStar Management they specialize in pool cleaning services, pool repairs and construction, filter systems, and more. You can rest easy knowing that your pool is in the best hands possible when you call the expert pool contractors, PoolStar Management in Gaithersburg, MD. Pools and hot tubs are great fun, but they also come with not-so-fun upkeep and maintenance. That’s where Centreville, VA pool cleaning services come in — leave the dirty work to the professionals so you can enjoy swimming and relaxing without a single worry. Whether you’ve got a leak, cracked tile or just need recurring cleaning, you’ll need a Centreville swimming pool repair and maintenance company that you can trust to get the job done right. What should I look for when hiring a pool cleaning service in Centreville, VA? Pools and hot tubs are big investments, so you’ll want to make sure to protect them by hiring an expert who cares about them just as much as you do. Check that the Centreville swimming pool maintenance service you are interested in actually specializes in the type of pool you have — chlorine and salt water pools have very different needs, and in-ground versus above-ground pools will require different upkeep and repair methods. Also, know who will be doing the repair or service; if it’s one of the larger swimming pool services in Centreville, VA, request that you get same person every time, otherwise you could get inconsistency in treatments. Good Centreville pool professionals will keep a consistent schedule and log everything they do so that it can be referenced in the event that you switch companies or something does go wrong. Like any other professional, look for local pool cleaning companies near you with plenty of good reviews and relevant experience. 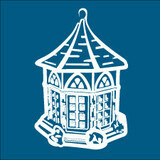 Find a Centreville, VA swimming pool repair and maintenance specialist on Houzz. Narrow your search in the Professionals section of the website to spa and pool maintenance companies in Centreville, VA and read reviews and ratings for pros in your area.